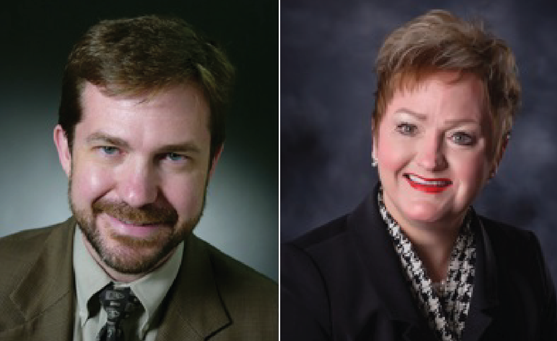 The Ann Arbor Public School Board of Education is pleased to welcome the two Superintendent finalists, Dr. Jeanice Swift and Dr. Brian Osborne, to Ann Arbor. The community is invited to attend the interviews and a forum with each candidate. The candidates will each start their forum with a brief introduction and there will be a Q & A for the attendees. Interview: Tuesday, July 16 at 1:15 p.m.
Forum: Tuesday, July 16 at 7 p.m.
Interview: Wednesday, July 17 at 1:15 p.m.
Forum: Wednesday, July 17 at 7 p.m. This is the opportunity for the community to meet the two candidates and ask questions as the Board of Education finalizes the selection of the next Ann Arbor Public School Superintendent of Schools. The Board will hold a meeting on Friday, July 19, 5:30 at the Balas Administration Building, 2555 S. State Street, for the purpose of making a final selection for the Superintendent position. I recently bought a home in what I believed to be a good elementary school district in Ann Arbor. The plan was to send our future children to that school. I therefore am following the district’s financial and other woes closely. I understand that redistricting is “on the table,” and, having grown up in A2, realize just how vehemently some will object to however that happens. Both finalists for superintendent strike me as fine for the job, but my personal preference is for Jeanice Kerr Swift for the reasons that 1) she has personal experience with redistricting, and 2) she included a multi-pronged approach to dealing with revenue issues both in multiple feedback streams (in-house and community-wide) in cost-cutting and in creating new revenue sources. I am happy to see how responsive she is to all the parties involved – the board, the school system, and the parents and ultimately students, and her communication skills will be a great benefit.